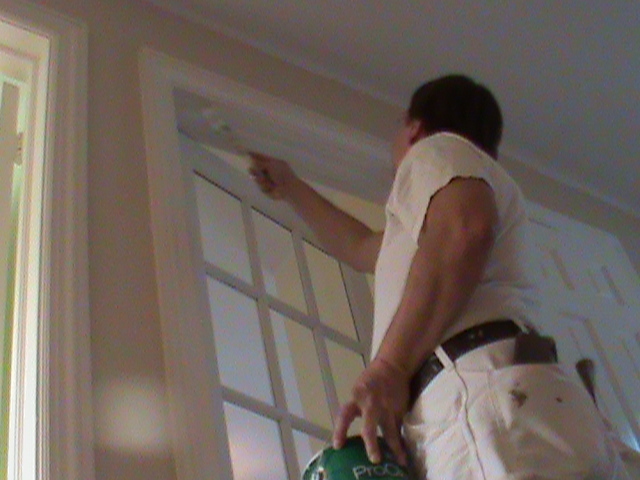 Turn your old, dated, and dark wood interior trim areas into a fresh updated color. Our interior trim package usually includes glossy white or light pastel trim paints; this makes the trim look fresh, clean and is very durable. A fresh new color to your wood trim can give a totally new look adding Durability ensures it will hold up against vacuums, cleaning materials, kids and pets. Doors, cabinets and window trim can also be painted any color you like. Update your trim for a new, brighter and lighter color for your home! We also paint your exterior wood trim in Chicago. Sand the trim to make a smooth surface and to insure bonding. caulk and putty all gaps and holes. Apply the necessary coats of finish trim paint.